Amazon just announced that the Alexa Voice Service will be coming to Fire TV and introduced a new lineup of Fire TV devices including Fire TV Edition smart TVs, Fire TV Stick 4K, and the Alexa Voice Remote. 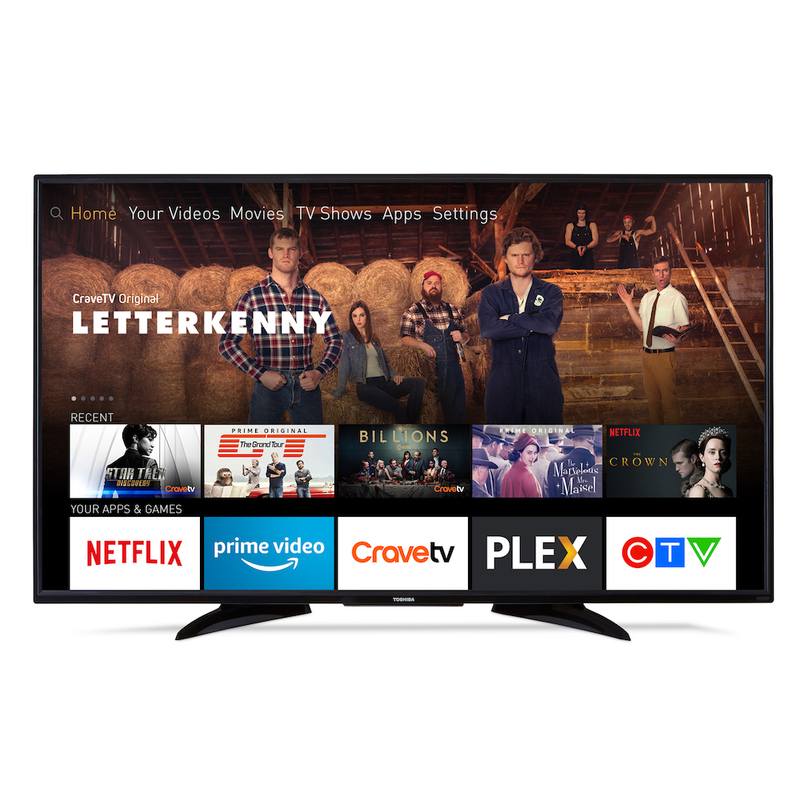 Amazon and Best Buy are bringing Fire TV Edition TVs to Canada with the first two smart TV models from Toshiba, available exclusively in Best Buy stores, on BestBuy.ca, and from Best Buy on Amazon.ca. Learn more at bestbuy.ca/firetv or https://www.amazon.ca/dp/B07HCXBB2Q. – Delivers 720p picture quality with deep blacks and rich colours. – Fire TV Stick 4K with the Alexa Voice Remote features a new quad core, 1.7GHz processor and integrated Wi-Fi built directly into the device, delivering a fast streaming experience, quicker load times, and brilliant picture quality.